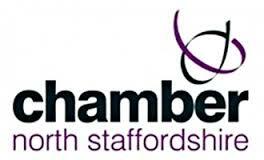 Ask Your Staff worked with the new chief executive of North Staffordshire Chamber of Commerce to assess how engaged employees were and where she could make changes that would aid her in transforming the organisation. The questionnaire was designed to give a broad overview of the strengths and weaknesses of the organisation and highlight where quick wins and longer term changes needed to be made. The small size of the organisation meant that only a 100% response rate was acceptable and this was achieved due to solid preparation work – a presentation on the benefits of the research, the information that was being collected (including the level of confidentiality) and an email from the chief executive asking individuals to participate just before the questionnaire was sent out. A presentation of the results and Ask Your Staff worked with the cross departmental teams and internal specialists to assess the key issues and how they could best tackle them based on the information provided. As well as the presentation Ask Your Staff assessed the levels of engagement using 4 different models (Bath model favoured by the CIPD, University of Warwick, Gallup G12 and Cartright’s transformational model which is the basis of IiP). The complexity of the issue was making it relevant to small diverse groups of people who felt that they did not have much in common with other groups and highlighting the impact of siloism on the organisation.